IG: plump_lips afrolatina hasta la muerte. What a way to kick off 2018 than to take a rejuvenating long weekend trip to Los Cabos, Mexico! My partner and I headed to Los Cabos for MLK Jr. weekend in January and we had an amazing time. Although I'll admit- I typically avoid areas with high tourist demands, and Los Cabos definitely screamed luxury vacation. However, I was please to see the beauty of this place not to mention it has further piqued my curiosity about the rest of Mexico. Mexico = the belly button of the moon in Aztec culture. Mexico has a beautiful, long history of Aztec and Mayan culture. Its division with the United States has been well documented, and yet we do not learn much of their history in our schools. 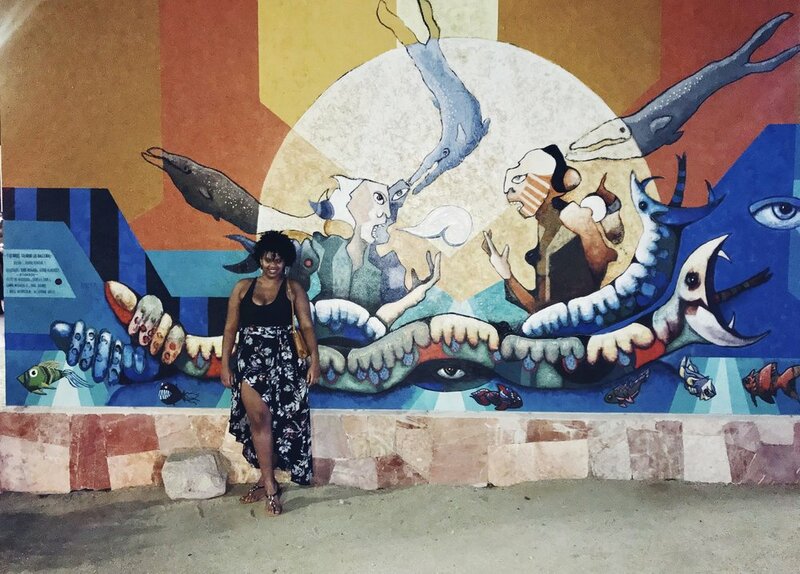 Through my travels, I have learned to harness + seek out experiences that are full of authentic culture, and we set out to do the same in Los Cabos- regardless of its #SpringBreak myths. The food, people and sights blew us away and we hope to explore more of what this Latin American gem has to offer. 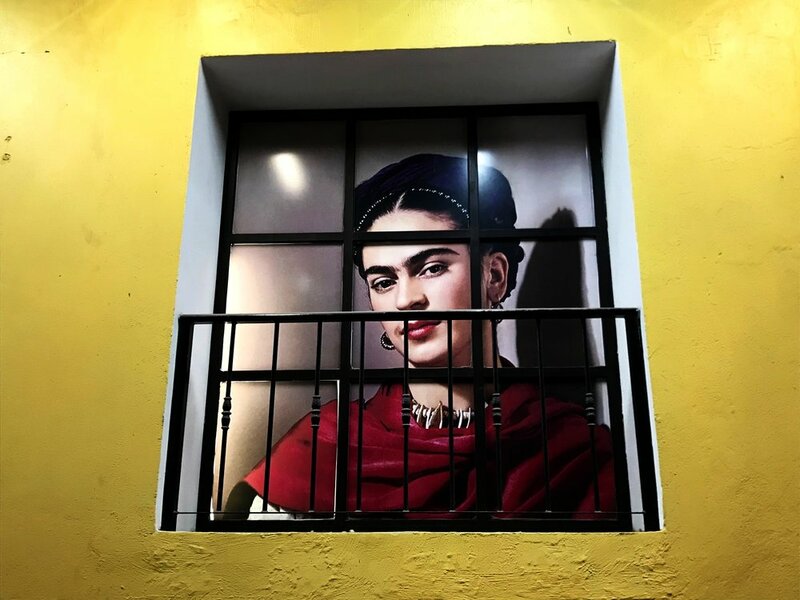 The beauty and fierce spirit of Mexican artist + native Frida Kahlo was felt all around Los Cabos and this piece struck me as we walked down the boulevard in Cabo San Lucas. Los Cabos is the full name for the two cities- Cabo San Lucas and San Jose del Cabo. The twin cities offer a unique take as San Lucas is more party and luxury, while San Jose is chill and less crowded. We opted to stay in San Jose as we sought a more authentic Mexican experience. We stayed in Posada Real Los Cabo which is near the airport, and right in the middle of San Jose. Although we loved our stay and service, we do recommend for other travelers looking to visit to stay in Cabo San Lucas. Reason being the cab fare was very expensive to travel back and forth to both cities, and the area did not offer much in the way of alternatives as Uber is not available, and public transit ends early. For our short stay, it didn't lead to many complications, but it is something we will definitely keep in mind for next time we visit. Renting a car is also another alternative we would consider if visiting again. All in all, it is fairly easy to get around by car and I recommend seeing both cities no matter how long or short your stay in the area. Both have something unique to offer, and plenty of things to do. The ABSOLUTE BEST part about our stay in Posada Real, was the breakfast! I will continue to have dreams about these soft breakfast quesadillas full of fresh vegetables and organic chicken. It was the best way to start our day, not to mention the friendly staff who encouraged us to eat more than we really could! The breakfast was hearty and offered plenty of Mexican delights. My partner and I decided to use public transit to get to downtown, and we inquired with our concierge. It was easy and cheap to use the bus, not to mention it fit our strategy to take the local way of life. I found this mural in downtown Cabo San Lucas, and I was struck by its vivid colors. The artist is unknown but I interpreted the piece to signify the meanings of fire and water. On the top, the mural depicts a bright, burning sun, while near the second half you can see fishes and underwater life. For my Mexican vacation, I opted for light clothing that would also let me feel cute while comfortable: wrap skirt + black bodysuit fit all my needs! I always strive to go makeup-free on 90% of my travels, unless I am attending an event or special dinner. For this day, I opted for an SPF-tinted moisturizer, like Clinique's Moisture Surge Tinted Moisturizer and paired it with a dope mascara. Since I had gotten some sun, my tan illuminated my face so I let my skin breathe. I'm a strong believer in the LESS IS MORE philosophy when it comes to make-up! Let your natural beauty shine. Every woman is different so choose what makes you feel like the BOLDEST version of YOU. The end of 2017 was super hectic for me. After a MAJOR year (You can read about my personal journey HERE), I was ready for 2018. I wanted this time away from home to allow me to sit back & prep me for what was next. So, I was determined to fit some R&R into my Cabo stay. The beaches in the area where gorgeous, and did not disappoint. I am natural beach bum being a Caribbean woman + a water sign (#TeamScorpio!) so I felt in my element. I brought out my journal, laid by the beach and meditated. Just in a few hours and I felt so refreshed and unburdened. I believe it is crucial to take some downtime and reconnect with our inner selves. I try to do this with every trip I take- I set aside one day (or even just a few hours) where I allow myself to just sit, and BE. Since we are all going through life at such a fast pace, this has really helped me reconnect with my spirit + rejuvenate my tone and energy. Afterwards, I get up and get moving! Once I return home I feel 100% of my energy restored, and can bring home a fresh new perspective on life. We visited Rancho Carisuva for a day of horseback riding! It was my first time riding, and the staff at the Rancho were amazing! They made us feel like professionals- even me who was slightly terrified when I first realized what we were doing! My horse's name was DJ and it was Western-style trained to go at a smooth pace a.k.a slow so I wouldn't freak out! On the tour, the rancheros took us down to the beach where we got to see the beautiful beach sunset and through the cactus-filled open spaces where we spotted some roosters! I highly recommend this tour if you want to contribute to a local ranch, and have fun while at it! 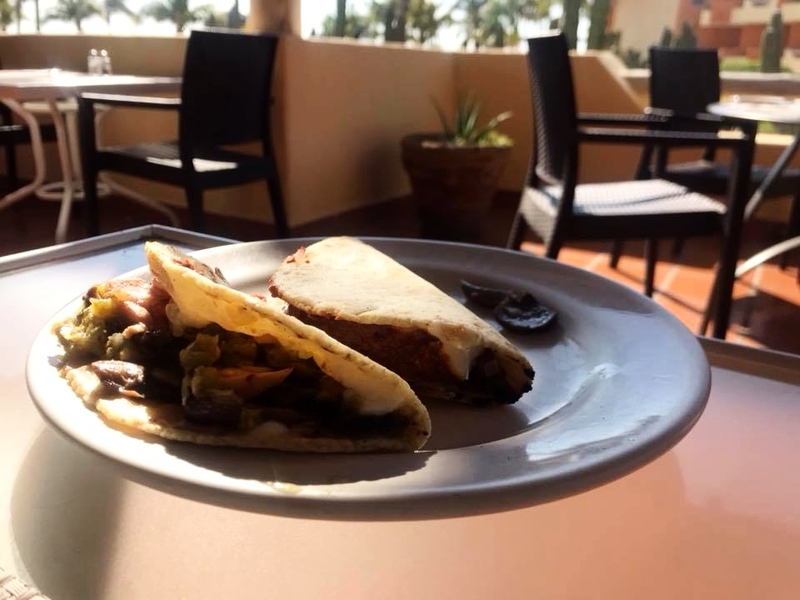 TACOS, San Jose Del Cabo, Mexico. After our adventure, we headed back to San Jose, where we feasted on tacos!! Another great place we dined at was La Catrina near la Playa Medano in Cabo San Lucas. I had the taco salad which was so big and delicious! Paired with fresh tortillas de maiz, my partner had steak fajitas. Bright smile + Bright Colors! This was the first trip in a while where I let my curls flourish as I typically braid my hair for travel. I tied my hair with a long handkerchief to beat the heat, and paired it with this hot-pink number from Zara! 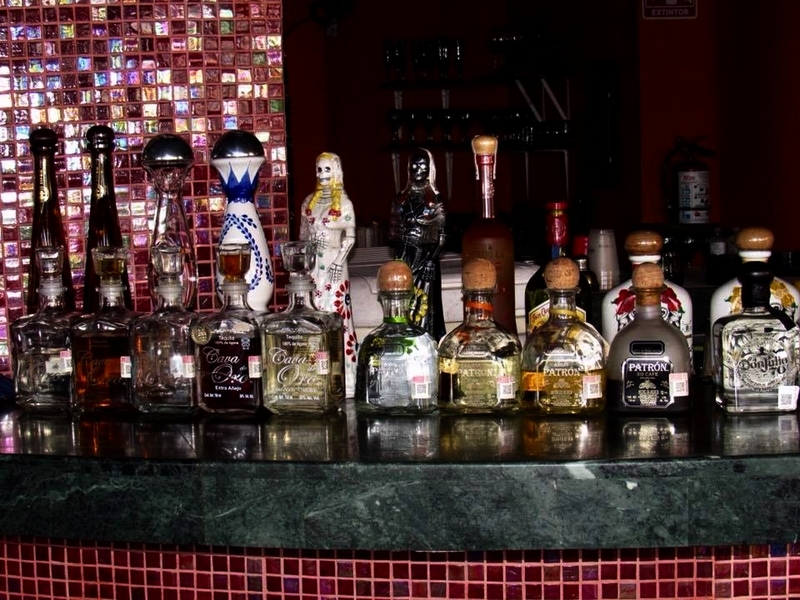 Los Cabos was already serving all of our needs, but it gave us more than we anticipated when we visited El Arco. Stationed near Lover's Beach, you must take a glass-bottom boat to see this natural beauty. The glass-bottom boat allows you to see the fishes swimming underneath as you ride by! It was truly an unforgettable experience. El Arco, Cabo San Lucas, Mexico. El Arco represents the moment the Sea of Cortez and the Pacific Ocean meet. The views were gorgeous, and a big highlight for our trip. We were blessed further due to the fact that it was whale mating season! During our boat tour, we caught sight of a whale and got more than we bargained for! The views were unbelievable, and really brought tears to my eyes to see these mammals in their natural habitat and up close. Overall, could not have asked for more from our short trip to Los Cabos, Mexico. 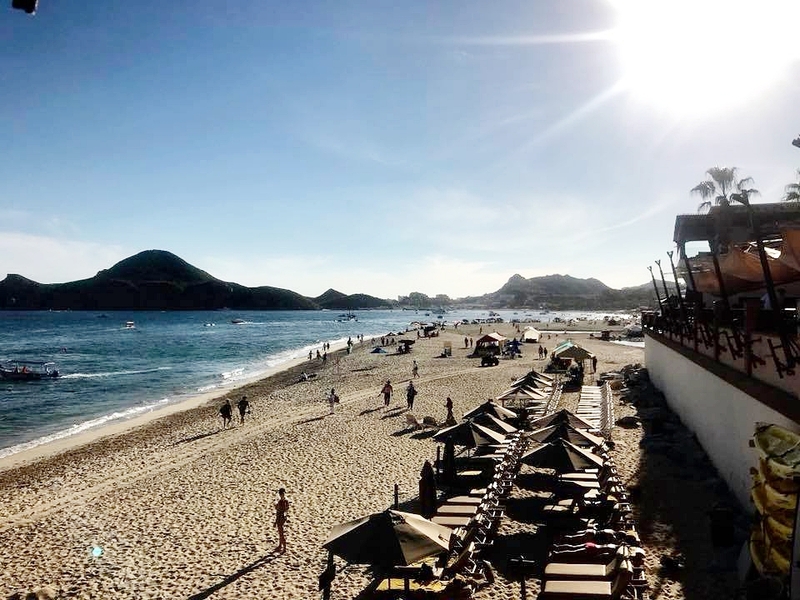 Recommendations for anyone hoping to travel there soon: STAY in Cabo San Lucas, DO NOT DRINK the water, ask for DOUBLE SHOTS in all your drinks at the resort & seek out AUTHENTIC experiences. 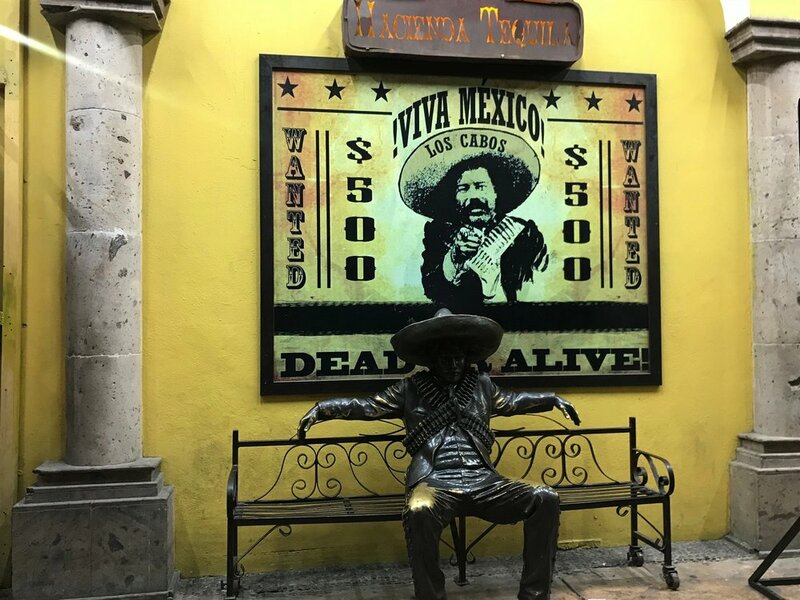 Mexico is worth your time, so put it on your travel list! Tell us what you think about Los Cabos! & sign up for our newsletter to get these posts straight in your inbox! Beya J. is an urban enthusiast. Through her travels, she ensures to engage in local culture, customs + food while exploring concepts that build community and highlight themes around urban living. She is Dominican-born, raised in Lawrence, MA.